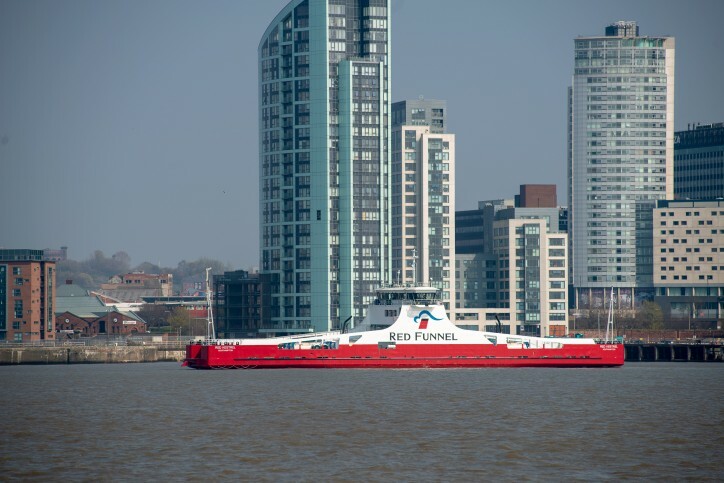 Merseyside shipbuilder Cammell Laird has completed the building of its 1393rd vessel the £10million ferry the Red Kestrel, for Isle of Wight ferry operator Red Funnel. 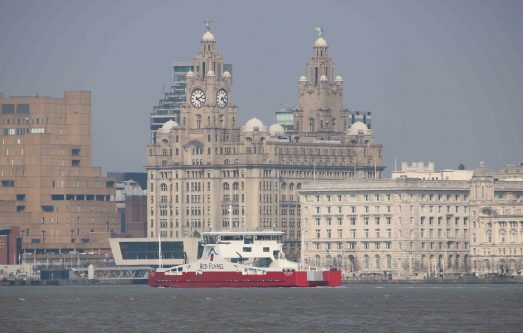 The Red Kestrel, a new freight-only RoRo vessel, sailed away from Cammell Laird’s famous River Mersey shipyard following a nine-month build programme. In total, the project used 45 British supply chain businesses and generated 3000 man-hours of work for Cammell Laird’s apprentices. Cammell Laird further employed 200 direct workers, 200 sub-contractors and 10 apprentices on the contract. Tony Graham, Cammell Laird’s Chief Operating Officer, said: “Cammell Laird would like to thank Red Funnel for placing its trust in us to build this wonderful state-of-the-art ferry, drawing on all our marine engineering expertise. Completing this ship sends a very strong message to the global maritime industry about Cammell Laird’s ferry building capabilities after we won the contract against international competition. 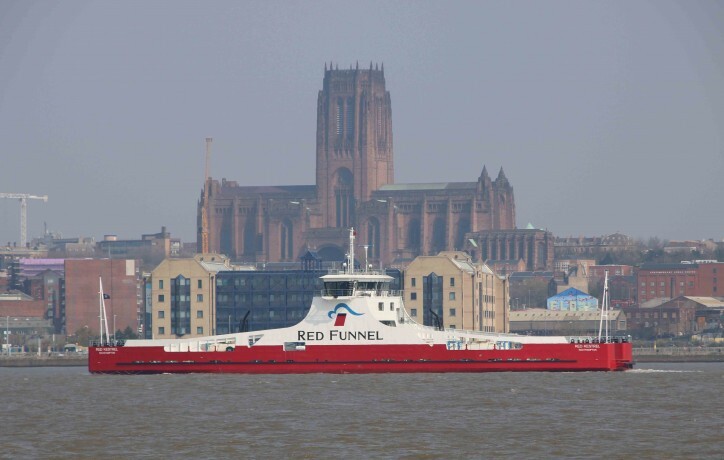 We are proud to see the Red Kestrel join a collection of ferries that Cammell Laird has built in recent years in addition to the large number of drydockings and repairs we do each year in the ferry sector. The Red Kestrel will operate between Southampton and Isle of Wight. The vessel will officially join the fleet on arrival in Southampton, and enter service in May, following trials and its official naming ceremony. The Red Kestrel is Red Funnel’s first dedicated RoRo freight ship since the company’s inception almost 200 years ago. As a freight vessel she is limited to 12 passengers and constructed specifically to provide additional year-round freight capacity for Red Funnel’s Southampton-East Cowes route, which currently handles 53% of all freight movements across the Solent. Red Kestrel is due to enter service in May 2019, with the current ferry timetable to be updated to accommodate the vessel. At 74m in length, she will provide 265 lane metres of roll-on/roll-off freight capacity. To minimise the environmental footprint, the hull shape has been designed specifically to reduce wash and a propulsion package has been selected to make her highly fuel efficient whilst meeting the latest Tier III emission regulations. The use of proven azimuth thrusters supplied by Rolls Royce, will also make the ship very manoeuvrable. The crossing time of 55-60 minutes will be identical to Red Funnel’s existing Raptor class ro-pax ships and she will use the same berths in Southampton and East Cowes.